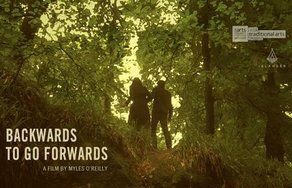 Islander and Arbutus Yarns have released ‘Backwards to Go Forwards’, a new piece of film showcasing the future of Irish traditional music; directed, filmed and edited by Myles O’Reilly. Originally released on Christmas Day, ‘Backwards to Go Forwards’ features some of the finest musicians of modern Irish music talking about how they fell into trad, what they love about it and where they see it going. With live performances and interviews from Caoimhín Ó Raghallaigh and Sean MacErlaine (This Is How We Fly), Zoe Conway and John Mc Intyre, Cormac Begley, Brian and Diarmuid Mac Gloinn of Ye Vagabonds, members of The Bonnie Men, Saileaog Ní Cheannabhain and her sister Muireann Ni Cheannabhain (Mongoose), Slow Moving Clouds, and Radie Peat (Lankum). "I'm quite new to Irish traditional music having only just immersed myself completely in the last decade by following the sounds of Irish contemporary musicians whose backgrounds in music came from tradition. My ears followed the inflections of tradition in their sound, and in doing so my discovery became such a natural process, gently investigative, which slowly and surely opened the door to a huge world which I previously did not think belonged to me. Travelling the width and breadth of Ireland making this documentary, away from stages and music venues, it is my hope that anyone watching who may not be deeply familiar with Irish traditional music can share and experience the same journey of discovery and familiarity. I hope to gently open a world so close to their doors, through the music and words of some of Ireland’s greatest contemporary traditional masters." ‘Backwards to Go Forwards’ was made in association with Islander and was funded by the Arts Council of Ireland. The interviews are thoughtfully conducted by Myles O’Reilly, Martin Burns and Donal Dineen. Click here to view the full film online for free.